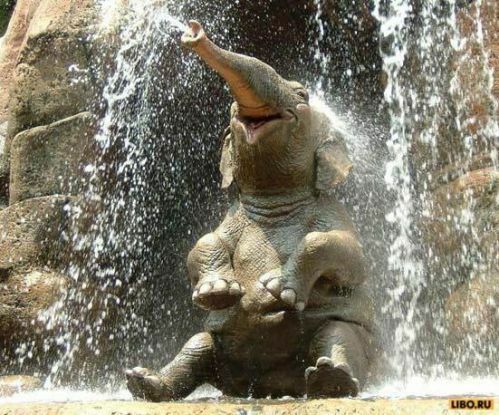 Playing in the water. . Wallpaper and background images in the 동물 club tagged: elephant water play funny. I think this is the elephant that is in Disneyland! On the jungle ride! !.......yea, I'm sure of it!! Oooooo so adorable...hahah and hilarious! !